This unique literature display is actually two-sided! 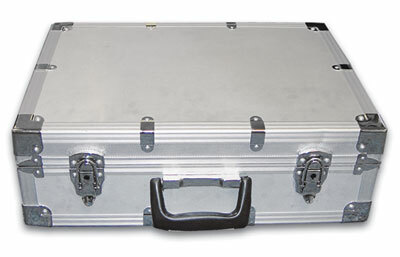 The collapsed unit fits easily into the included 19" x 14" x 6" silver case that totes like a suitcase. When pulled up to its full 5-foot height, the unit locks in place with ease. Each shelf on both sides features a one-inch lip so you can display a variety of literature including catalogs, flyers and brochures. Feature: Actually displays literature on both sides! 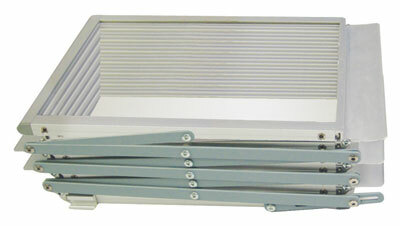 Feature 5 Overall Size - 10" x 59.5"
Easy to carry, set up and take down. Product is great for fliers and brochures but can't hold more than one big catalog per shelf.